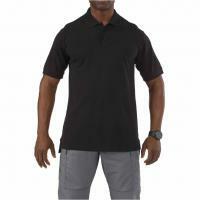 The Professional Polo is made in a 5.11 Tactical exclusive process that provides no fading, no shrinking, no wrinkling in a soft 100% pique-knit cotton. Included in the shirt are a concealed dual pencil pocket, no roll collar with permanent collar stays and Melamine buttons on a 3-button pocket. Best price around and fast shipping.